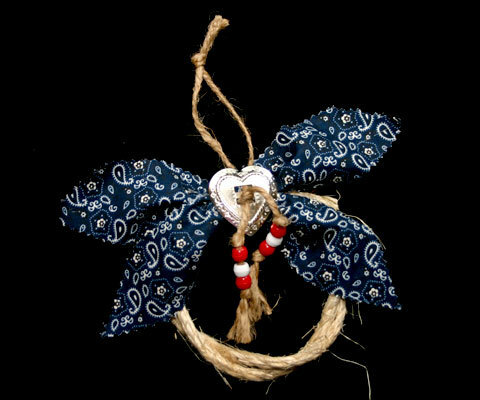 Handcrafted western Christmas ornament made of small twisted rope with blue bandana fabric strips and finished off with a silver heart concho tied together with jute and pony bead accents in red and white. Has a jute hanger. The rope circle measures approximately 4 inches across. Made in Texas in a smoke-free, pet-free environment.